Looking for a gift idea for the swimmer in your family? “Behind the Goggles” is the ultimate book for children who love to swim. There is no other book like this in the world. 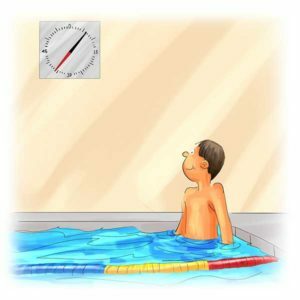 It’s easy to read, has great swimming cartoons and includes many Gold Medal Tips and the best swimming quotes. All prices in Australian dollars. 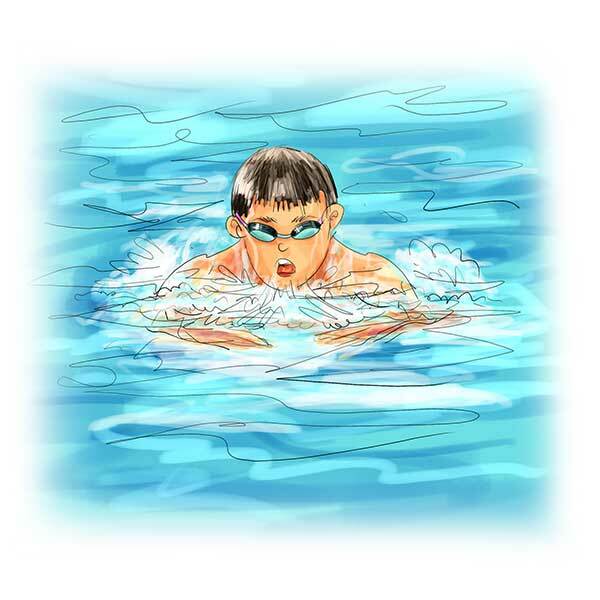 “Behind the Goggles” is the ultimate book for children who love to swim. 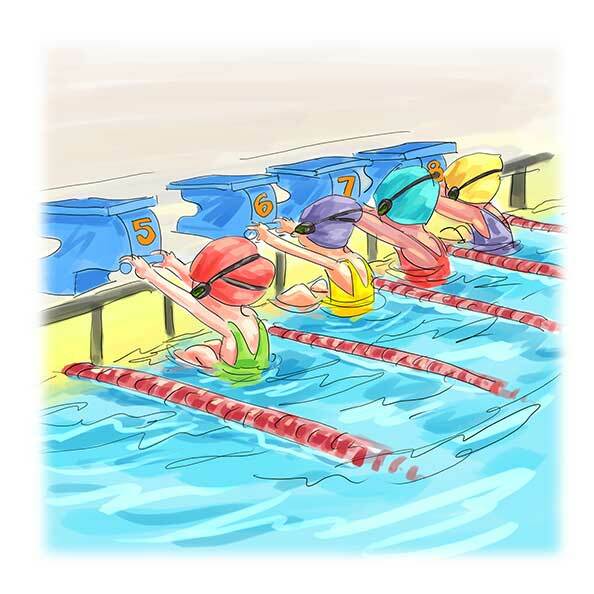 Children aged 8 to 14 years who participate in squad training and swim meets, will love “Behind the Goggles”. It will never leave their bedside table and will be read over and over again. As a swimmer, once you put your goggles on, you are ready for action. With all that hard training behind you, you know you are going to perform well. “Behind the Goggles” has been written in an easy to read language and designed with terrific cartoons, tips and swimming quotes, to help every swimmer to be the best that they can be! The information in this book will help children to train, practise and compete at a high level in swimming. The more they learn about swimming, the more they will understand what their coach is talking about and the easier it will be for them to improve. 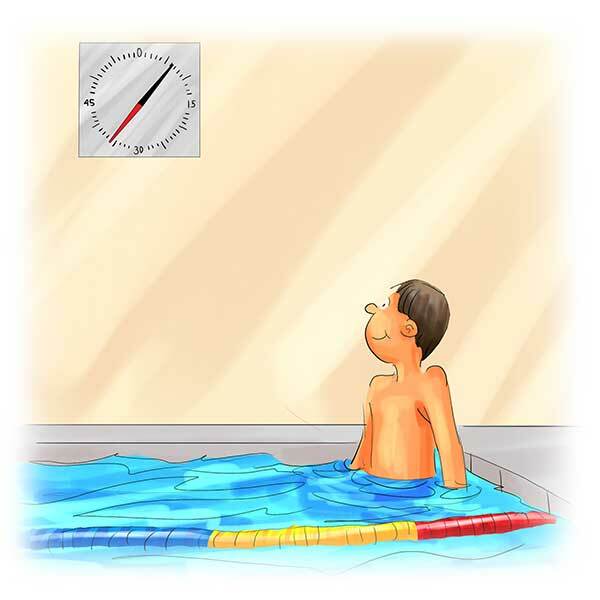 Having said that, swimming is not just about how much you improve or how fast you swim. It is also about developing a healthy body, learning many life skills and having lots of fun with your friends. This is also covered. 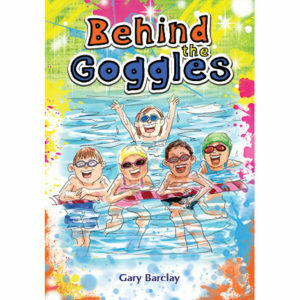 Written by The Swimming Expert, Gary Barclay, “Behind the Goggles” is the culmination of 40 years experience as a swimmer and swimming coach and puts together all the key information every swimmer should know. The book has been written for an International audience, so no matter where you live in the world… if your child is involved in competitions swimming… they will love this book! All prices are in Australian dollars. 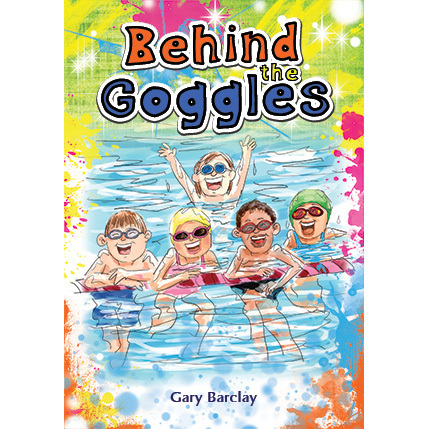 “Behind the Goggles” is a wonderful book for children aged 8 years to 14 years. The book features answers to questions about swimming, from practice to competitions, stroke technique to starts and turns, what to eat and everything in between. The life skills you will learn from swimming. Technique tips on the four competitive strokes, freestyle, backstroke, breaststroke and butterfly. Behind the Goggles is a must-have resource for every junior and age group swimmer. Written in an easy to read style and targeted to 8 to 14 year olds, the book uses terms and references which children and teenagers all over the world will understand. 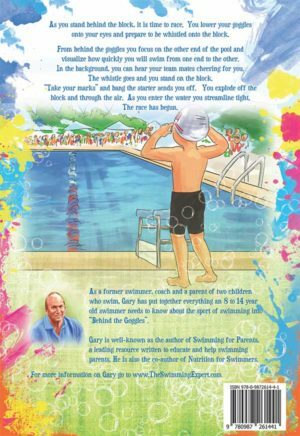 It is the ultimate book for children who love to swim. 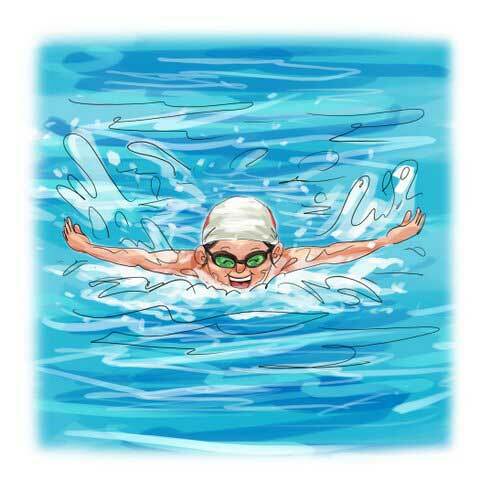 Children aged 8 to 14 years who participate in squad training and swim meets, will love Behind the Goggles. It will never leave their bedside table and will be read over and over again. As a swimmer, once you put your goggles on, you are ready for action. With all that hard training behind you, you know you are going to perform well. 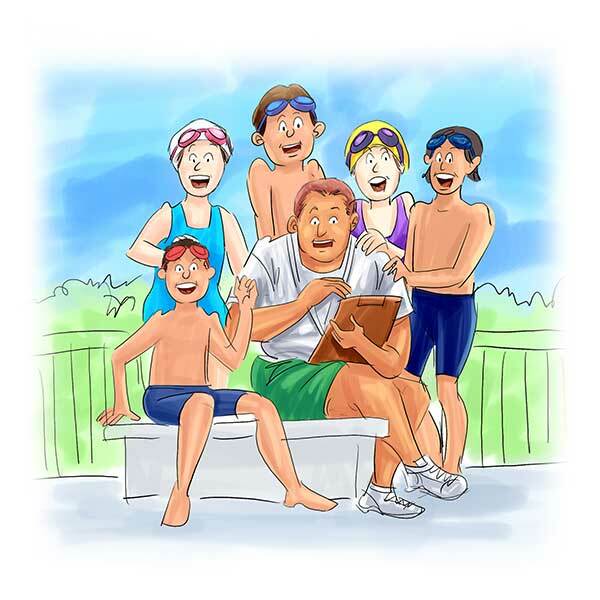 Behind the Goggles has been written in an easy to read language and designed with terrific cartoons, tips and swimming quotes, to help every swimmer to be the best that they can be! The information in this book will help children to train, practise and compete at a high level in swimming. The more they learn about swimming, the more they will understand what their coach is talking about and the easier it will be for them to improve. Having said that, swimming is not just about how much you improve or how fast you swim. It is also about developing a healthy body, learning many life skills and having lots of fun with your friends. This is also covered. Written by The Swimming Expert, Gary Barclay, Behind the Gogglesis the culmination of 40 years experience as a swimmer and swimming coach and puts together all the key information every swimmer should know. The book has been written for an International audience, so no matter where you live in the world… if your child is involved in competitions swimming… they will love this book! Children will love the cartoons throughout the book and will learn a lot from the Gold Medal Tips and swimming quotes throughout. While there is a couple of pages at the back of the book dedicated to parents, early feedback suggests that parents will love reading the book too!! Thank you for sending the book Behind the Goggles I read it in one day and one amazing book, this has help me with my LTS class and hope to read some more of your books soon. Love love this book. My daughter is 10 and keeps going back to read different sections. Great book Gary. Easy to understand and the cartoons are gorgeous! This book is great and will help with my competetive swimming!!! Bought this book for my kids, recommend it. I purchased this book as a gift for my 10 year old daughter who has been swimming competitively for 5 years. As she has gotten older, her love for the sport has only grown and she is the one pushing us to get her to the pool as often as possible! This book highlights great techniques and ideas and has a fun way of presenting the information that kids will love. I am 100% satisfied with my purchase and highly recommend this book to anyone who has a child that loves swimming and wants to learn more!! Great Christmas book that I can share with my boys that have been swimming for 3 years and just started to get serious in the last year. We read to each other and talk about it. As I’m their coach as well we get to share moments out of the pool and learn together. I also get more insight into what they want and where they want to go. Thank you for writing this awesome book. Having recently purchased and read Behind the Goggles, I am impressed. Wow, great job! This mirrors and reinforces a lot of our swim program. I will be recommending this publication to both parents and students alike. Informative, easy to read (alone or together) and building skills for life. From the student struggling in a ‘sea of information;’ to the kids excelling in their swim progression I believe this is a little masterpiece. 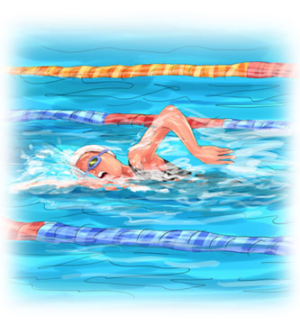 Great wealth of information for children serious about swimming and competitions. Prompt & efficient service.